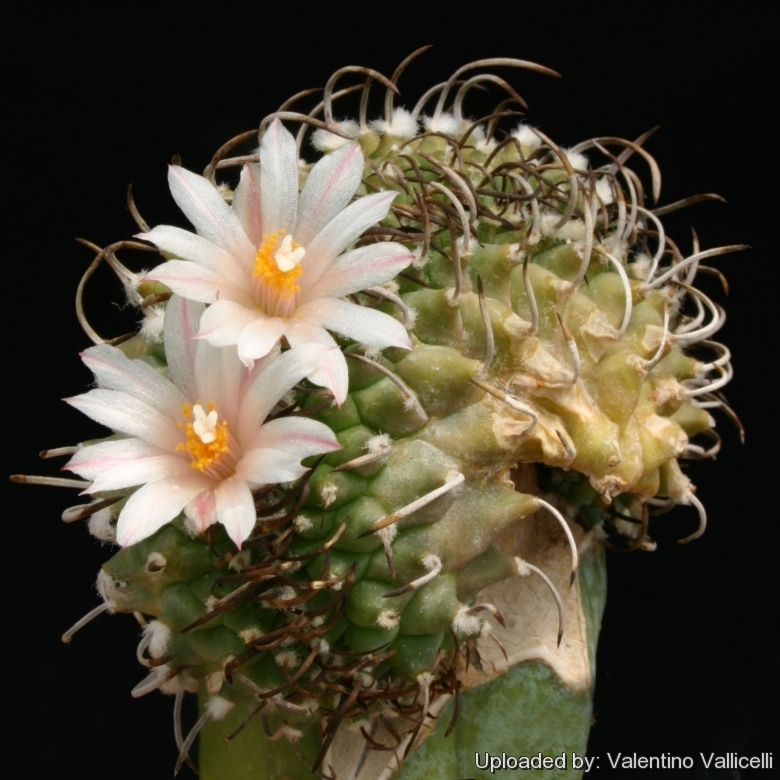 Description: Turbinicarpus schmiedickeanus is a tiny cactus species whit corky spines that grows almost completely buried in the ground. 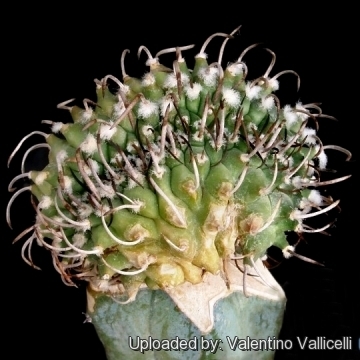 The crested form Turbinicarpus schmiedickeanus f. cristatus is very rare and sought after by collectors, for its unique features. Root: Has a large tap root below the surface of the compost. Stem: Fan shaped, flattened on top, depressed centrally, green, apex with some white wool. Watering: Water sparingly from March till October (weekly during summertime, if the weather is sunny enough) , with a little fertilizer added. Less or no water during cold winter months to prevent root loss. It is sensitive to overwatering (rot prone).